Fluctuations in emotions and moods can be expressed by simply editing your charms, by adding or subtracting, or mixing and matching. If this isn’t your perfect combo and for a true personalised experience, feel free to design your own charm cluster by picking a chain from the chain section and mixing it with a selection of hand picked charms. 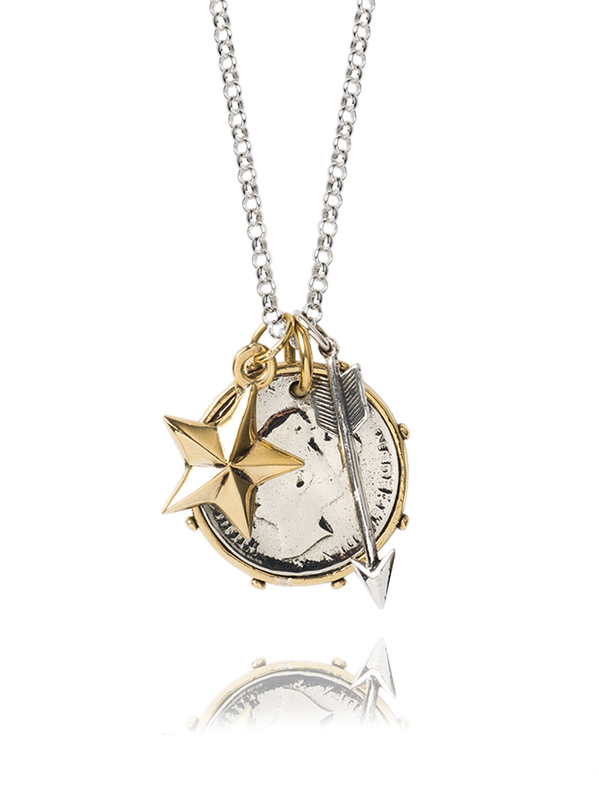 The Dutch guilder is made of white bronze with a brass trim and measures 3cm in diameter, the brass star 1.5cm and the silver arrow 2.5cm. All three charms hang on a 60cm sterling silver belcher chain.